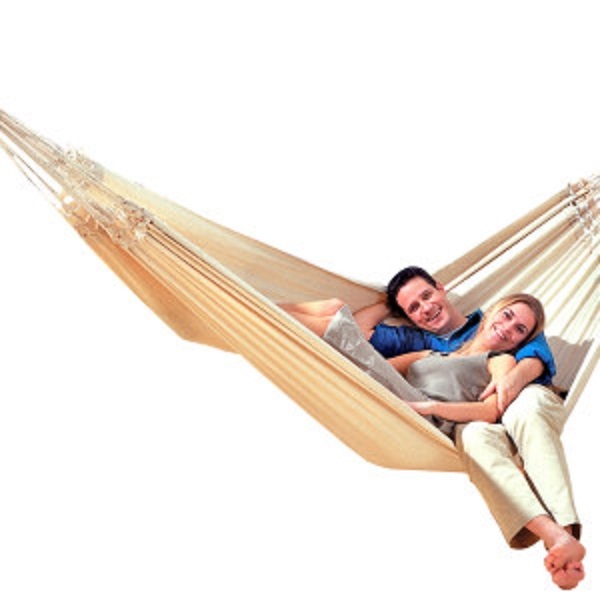 Paradiso is the best in Brazilian hammock comfort and something quite special. This is perfect for the whole family to enjoy. Only very few looms are suitable for making a 1.75 m wide sheet. In order to make this giant hammock both extra sturdy and super soft at the same time, with almost 5000 threads woven together! We connect the extra thick cords again here by hand with a woven band so that concentrated loads are compensated for, giving this family hammock a very long operational life.